We’ve taken the Sled line to a new level with all welded construction and color-coded retainers for ease of use. Lighter than the original Game Sled yet will still extract game up to 400 pounds. 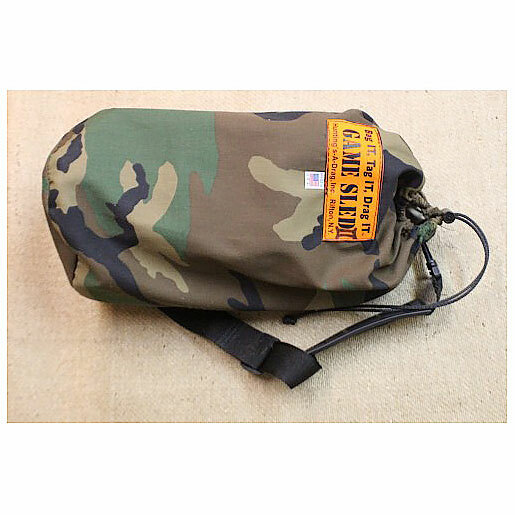 Perfect for Bear and Whitetail game! This Sled will provide for all your needs with service and capabilities for many years, and hunts! 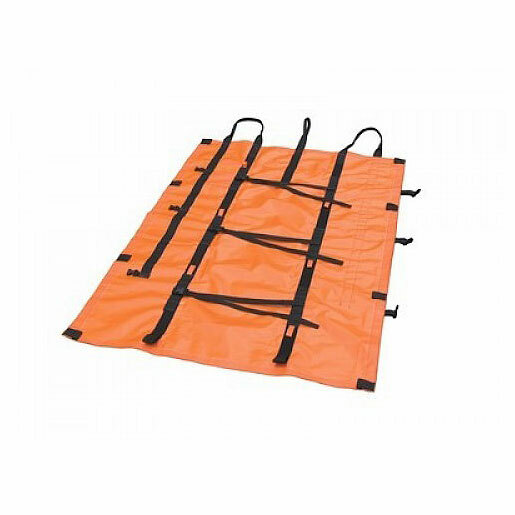 Game Sled II; the next generation of game removal sleds offered by Hunting’s A Drag; holds many similar features as our other sled products with some new abilities that were missing from our “Original Game Sled™, as well, some items were removed to allow for a more compact unit. The new Game Sled II™ will perform as the original Game Sled™ for retaining your infield animal, capable of extracting game in the 400 pounds plus range. 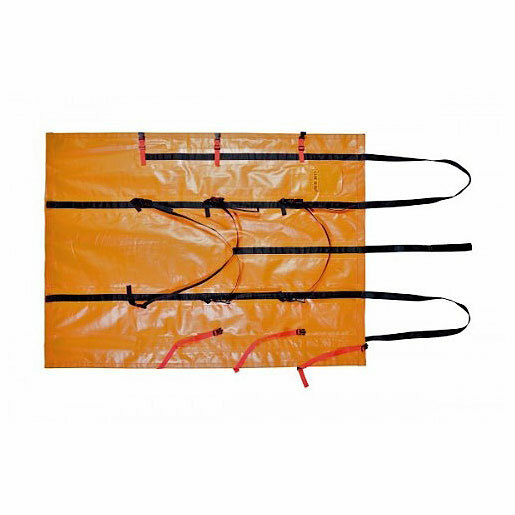 The new twist: All welded construction for applying the strapping which support the retainers and aid in the function of removing game; secured to the base sheeting. As well now having the capability of changing the retaining fasteners if damaged. This new process will only enhance the overall product’s longevity when placed in the hands of the end users. Best news, all our new sleds are made here in the USA. 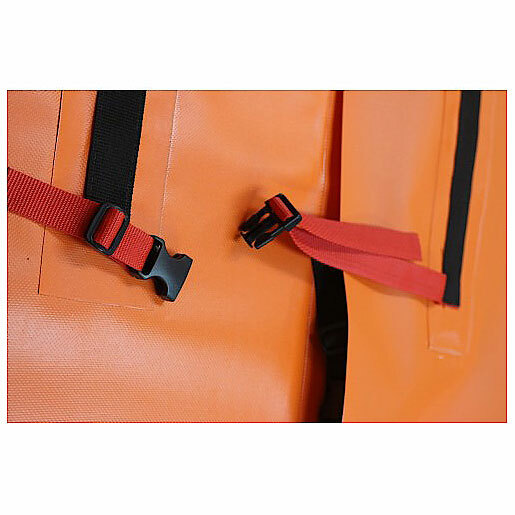 The support loops on the outer edges for placing stretcher type carrying poles; these items are inherent to the Original Game Sled™. 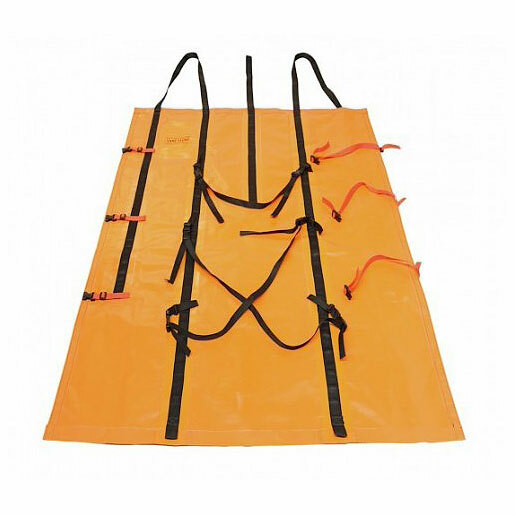 These inclusive items are more in line with the needs of Outfitters, but are only on the Original Game Sled™. These inclusive items added weight to the end product to carry to the field, something that hunters constantly battle, thus these were removed. Also removed was the Velcro to adjust the inner retainers; all to lighten the end unit for taking to the field! The inner retainers are now fixed and placement allows for greater retention of many sizes of game types. Retainers are now color coded for an easier process to retain your game and remove from the field. Though we chose to remove some items from the Game Sled II™ to allow for slightly lighter and a more compact unit, yet keeping all the extraction capabilities as our original Sled. 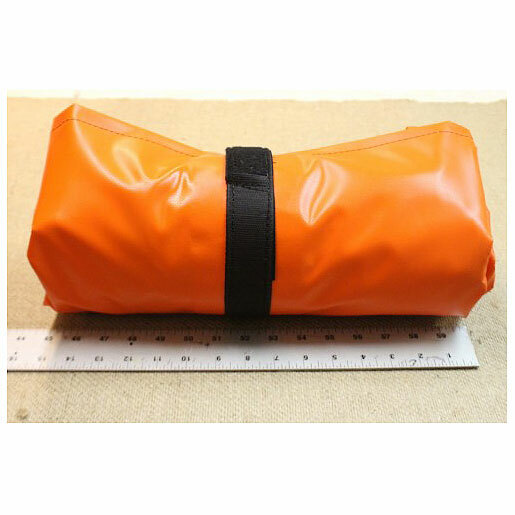 With a footprint in open state of 70 inches by 50 inches, yet stores/rolls to a closed state of 5 1/2 inch by 15 inches with its own cameo carry bag; weighing in at just over 5 pounds. 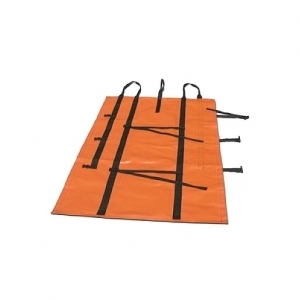 We are posting the photo of the new Game Sled II™ for your review and are focusing on supply needs at this time. As we have stated many times; purchasing an extraction unit from our line of Game Sleds, you are obtaining a product that will last for years and a multitude of extractions of your game/trophy animals.